Identify Your NPS Score Using Tools From QuestionPro. Sign Up Today! What is Net Promoter Score (NPS) ? Your NPS score, or Net Promoter Score, measures customer satisfaction and loyalty to a product, service or your business as a whole. It's a model that was developed by Frederick F. Reichheld and Bain & Co. Consultant. Respondents are asked "On a scale of 0-10, how likely are you to recommend (product/service/company) to your friends, family or colleagues?" Detractors. Survey respondents are provided with a scale of 0-10 for which they answer any question similar to "How likely are you to recommend (company/product) to your friends or colleagues?". The scale is then divided into three different sections. Those who answer a 0-6 are known as Detractors. Passives. Respondents who answer a 7 or 8 are labelled passives. They aren't included in the formula for calculating the Net Promoter Score. They're considered "neutral" or virtually undecided..
Promoters. 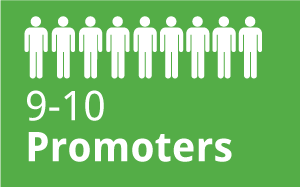 Those who respond with 9 or 10 are called Promoters. These are individuals who are completely satisfied with your company and provide the largest potential benefit for your business. The Formula. 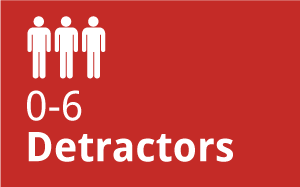 The score is calculated by taking the percentage of Promoters and subtracting the percentage of Detractors. The result can be anywhere between (-100) and (+100). Any score above 0 is said to be good, while an NPS of 50 or greater is excellent. This type of questionnaire gathers information for future products and services not on the market, or for those that already exist and need some kind of improvement or modification. Covering a large range of topics that include employee exit surveys, supervisor and company perception and employee evaluation, human resource templates are great for throwing in a net promoter score question. Respondents are asked questions not only about specific classes and teachers, but also for general campus improvements. Schools can use the nps score to measure the satisfaction of students as well as faculty. Customer service templates would be the best way to implement a net promoter score question. Asking respondents questions about a particular product or service. Step 3: A window will appear prompting you to choose three options: picking a template, importing an existing survey, or starting from scratch. What is the sign up process like? Are you able to sign up using your Facebook, Google or LinkedIn accounts? As soon as your account is created, what kind of options do you have for actually starting your survey? Is there a huge template library with pre-made surveys to choose from covering a wide range of business and academic topics? How about if you have a survey already typed up in Microsoft Word? As soon as you're ready to administer your questionnaire, how many options are available to you? 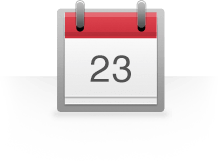 Can you create and manage your own email list with address you may already have? 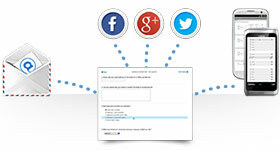 What about shooting your survey across various social media channels like Facebook, Twitter and LinkedIn? Perhaps you need to purchase a specific group of respondents that fit a particular demographic such as age, location or gender. 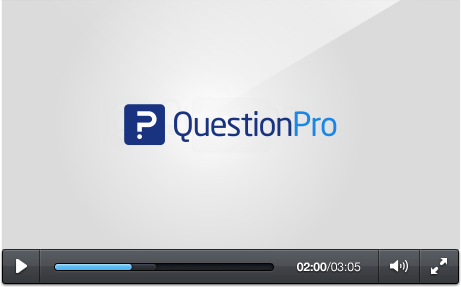 When you choose QuestionPro, you have all of the available features and more! Once your survey is created and you've chosen your methods of distribution, how do you go about viewing results? Can you see a real-time snapshot of your results coming in, stating how many people have viewed your survey, dropped out, completed it, and the time it took to create it? What sort of reports are you able to create? Can you create an infographic with your results, or perhaps a word cloud for word population in text responses? 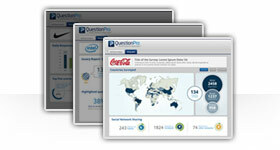 At QuestionPro, all of these reporting and analysis tools are available, plus much more! The first step is signing up for an account on QuestionPro - this will give you access to create and save an unlimited number of surveys. Once you have an account, choose three ways to create a survey, either by picking a template, importing a questionnaire of your own, or starting from a blank template. 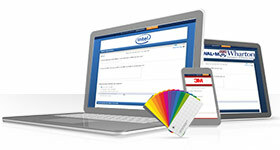 QuestionPro has a large variety of templates to choose from, ranging from customer satisfaction to academic evaluation. If you have a survey already in Microsoft Word, you can import it straight into the QuestionPro editor. If you need to change the style of your survey, you can select from pre-made color themes, in addition to having direct access to the CSS. With your survey now completed and all set for distribution, there a few delivery methods you can choose from. If you need to send out your survey over various social media channels like Facebook, Twitter or LinkedIn, you can do so with just a couple of clicks. If you already have the email addresses of the respondents you wish to send your survey to, you can create and manage custom email lists for easy, mass-distribution. If you don't have any participants and need to purchase a specific group of respondents based on particular demographics, you can certainly do so with QuestionPro. 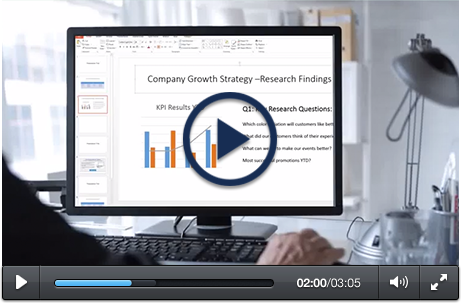 Custom reporting and results analysis is easy and effective with QuestionPro. As your results are being collected, you can see, in real-time, the number of people that have viewed your survey, dropped out, completed it and the time it took for them to finish. With QuestionPro, you can easily create infographics, word clouds and view addition participants statistics, such as email invitation and group/segmentation statistics. You have the ability to filter certain elements of your data, view advanced analysis such as trend or TURF analysis and create cross tabs. Any report can then be sent out via email or social media. 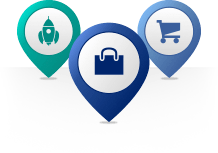 Let QuestionPro help you discover your NPS score!